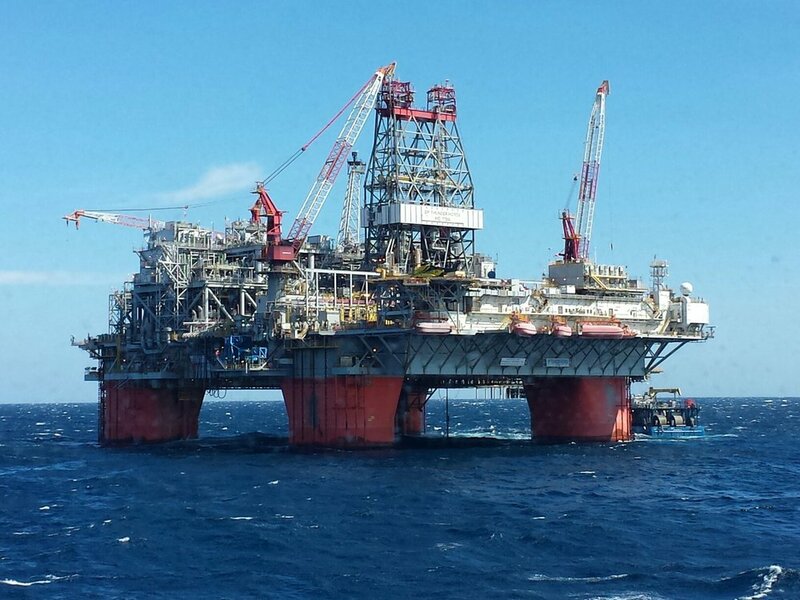 Thunder Horse, largest floating platform in the Gulf of Mexico. Marine Surveyor Phil Peterson is back in Bayfield, WI, after spending the winter running crew boats in the Gulf of Mexico. Peterson signed on as second captain, working for Candy Fleet out of Morgan City, LA. Candy Fleet operates 18 crew boats and supply boats, servicing oil rigs and platforms in the Gulf of Mexico. The crew boat that Peterson was on was a 145 ft. crew boat, working out of ports from Port Fourchon, LA to Galveston, Texas. These boat are quad engine, with four wheels. "It is amazing what you can do with them while holding them up to a rig. With the quad wheel arrangement, it is possible to walk the boat from side to side," Peterson said. "The Gulf of Mexico is pretty amazing. Running at night is like driving through farm land in Minnesota or Wisconsin. The platforms in the gulf are lit up just like all the farms with yard lights in the country," Peterson said. Phil Peterson is a Certified Member of the National Association of Marine Surveyors, Inc., and works out of Bayfield, WI, on Lake Superior. He holds a USCG 100 ton license near coastal, and is available for marine survey work and yacht deliveries. He has been sailing offshore since 1972, and has over 90,000 miles offshore experience.